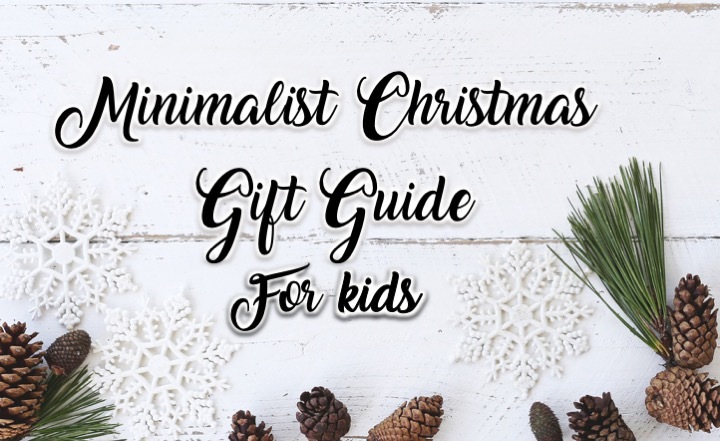 As the holidays are quickly approaching, I am excited to release the first edition of my Minimalist Christmas gift guides. 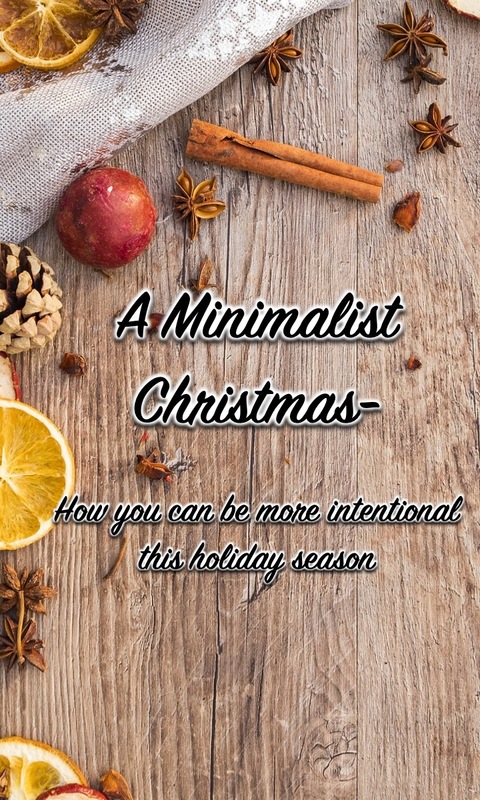 One of the main reasons my husband and I decided to adopt this idea of minimalism this Christmas is to help cut down on clutter. 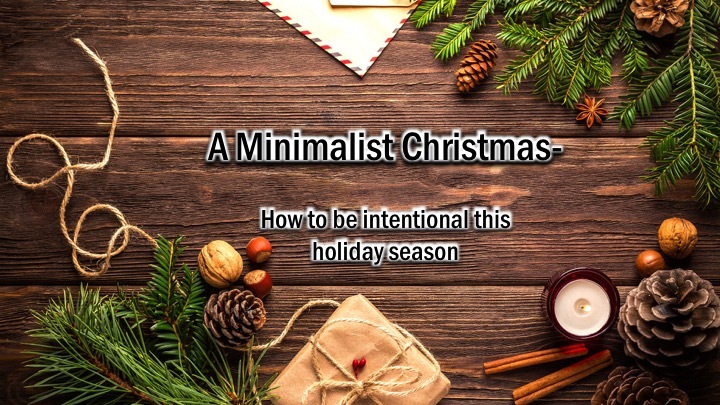 (If you didn’t see my original post on a minimalist Christmas you can read it here). In the one short year since we’ve brought home our baby dude man, our house has accumulated an unfathomable amount of toys and clothes, half of the things have gone unused. It’s no secret that staring at the piles and piles of stuff has contributed to my anxiety. So in an attempt to help keep our home organized and be more intentional, this year when it comes to gifts we’re abiding by the Rule of 4 – something wants, something needs, something to wear, and something to read. Now I in no way want to be a fun-sucker or offend anyone, and I realize this may not be for everyone. 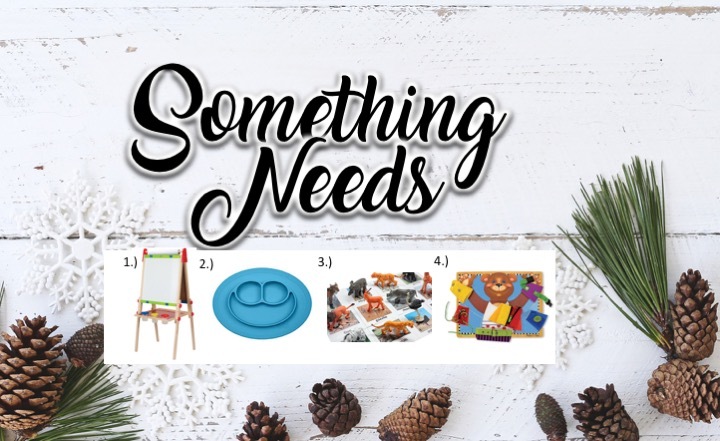 But in addition to helping cut down on “stuff”, it’s also important to my husband and I that we teach our son how to be more mindful and the real meaning of the holidays – getting together with family and friends, being grateful, and giving back. 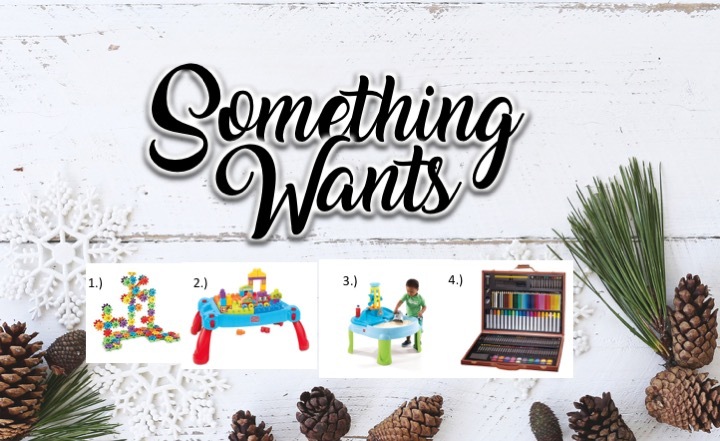 So here are some great gift ideas for the kids, all available on Amazon (because let’s be real, I’m no Pinterest mom, I’m more of an Amazon Prime mom). 1.) Gears Gears Gears – I love this toy because it helps build fine motor skills as well as helping foster STEM. 2.) Mega blocks and table set– very easy to pack up and take on the go so your little one can create anything, anywhere. 3.) Water and Sand Table -helps encourage outdoor play during the nicer weather months. 4.) Art set -because every kid needs colored pencils, watercolors, and crayons. 3.) Montessori animal match -teaches kids their animals and allows them to compare similarities and differences. 4.) Melissa & Doug basic skills board -Let your little one explore how to dress this smiley bear with zippers, buttons and ties. 1.) Freshly Picked -ok so these are a little pricey but they’re 100% leather, super soft, durable and will stay on your little one’s feet. 2.) Northface fleece -lightweight and great for that in-between weather, and I love that the fabric doesn’t pill. 3.) Skip hop backpack – let your kids carry their books and supplies in style with many cute creatures to choose from. 4.) Flannel pajamas – everyone needs a pair of flannel jammies and I love these from Burt’s Bees. They’re so soft and 100% organic. 1.) Melissa and Doug water wow – ok so it’s not exactly a book but it teaches letters, numbers, and there’s no clean-up. 3.) The Day the Crayons Quit – such a cute little story, you will never color the same way again. 4.) I Wish You More – this book brings tears to my eyes every time and it’s one of my favorite books to read to my little Maxwell, everything you could wish for your child. If you enjoyed this post and want to save this list for your future reference you can pin the image below. And be on the lookout for gift guides for her and him coming in the next few weeks! I love the holidays, they are my most favorite time of year. Some of my best childhood memories are from the holidays. Making cookies with my mom and the smell as they bake in the oven. All of the family going to cut down our tree together. Listening to Christmas carols while we hang our ornaments on the tree. And of course Christmas shopping and wrapping all those gifts. However, the holidays can also be stressful. There’s pressure to find the “perfect” gift for all your loved ones, keep up with family obligations and attend all those parties that sometimes it begins to feel more like a hassle than enjoyable. This year I’m approaching the holidays with a new attitude. We’re having a minimalist Christmas. You may have heard of the term “minimalism” – it means focusing on things that you value and getting rid of all the other “stuff”. And for me, this has become even more important as a mother and we start our own traditions with our son. When I think of the holidays, there’s a lot of stuff – we stuff our faces and waistlines, we drop lots of dollars on stuff (decor, gifts, cards,) that sometimes we lose the true meaning. Now I’m not saying we’re going to go all “Christmas with the Kranks” and be Scrooge-like. We’re just going to be more mindful and intentional. 2.) Focus on experiences – One of my favorite Christmas memories was when my parents, sisters and I went on a cruise for the holidays. All of our friends thought we were crazy foregoing gifts and going on vacation during Christmas, but to be honest, we had the best time with each other as a family and we still talk about it to this day. For us, the experience will last a lifetime and that is a true gift. 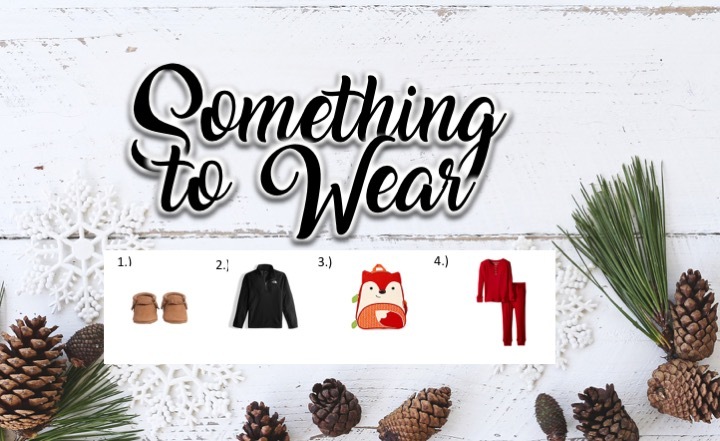 Find ways that you can have meaningful encounters with each other whether it be a Friendsgiving, getting the kids dressed in their jammies and driving around to look at Christmas lights or skipping gifts with your sisters and spending the day at the spa. 3.) If it stresses you out, nix it – Dread sending out all those holiday cards? Procrastinating on baking cookies because you don’t feel like doing a cookie swap this year? Don’t feel like going to that annual Christmas Eve party? Skip it. No one says you have to do those things. Talk to your partner and your kids about the traditions you enjoy and you want to keep and those new things you want to do this year. Make a holiday bucket list. 4.) Give back – use the holidays as an opportunity to teach your kids the true meaning of the holidays – being grateful for all you have and giving back. Volunteer at a local food pantry, help sponsor a family in need. These are experiences that will leave a lasting impression and show that this season is more than receiving gifts. I hope you enjoyed some of these ideas. What are some ways your family is intentional this time of year? Also stay tuned for my minimalist gift guides over the next few weeks!